Is there anyone here worth drafting? When it comes to catchers in 2019, it is a legitimate question. We’ve watched the value of the backstop population plummet in recent years. It was not too long ago that Buster Posey was a first-rounder. Gary Sanchez managed a second round ADP in 2018, only to bust. Even those we’d recently consider decent mid-round acquisition have seen their ADPs drop. Even at ADP 55 and 56, those two top picks are far from locks. J.T. Realmuto is coming off of a career year and could well regress. Gary Sanchez is coming off a .184 BA. There is not another catcher in the top 100, and only six more before pick 240. Is it any wonder that two-catcher leagues are starting to consider cutting back to one slot? The Broad Assessment Balance Sheet (BABS) sees a stark pool as well. Of the 33 catchers that she lists as at least mid-timers (minimum 300 plate appearances) only Mitch Garver (p,s) has more than one asset, and he isn’t even assured of a job. There were seven of those multi-asset players in 2018, and 10 in 2017. Of the rest, only 18 possess at least one positive asset, down from 26 last year. To draft in the rest of the pool, you’ll have to prospect for those with the fewest liabilities. So, there are barely enough rosterable catchers in one-catcher leagues. If you are in a 15-team mixed league with two catcher spots, there are at least a dozen catchers who will hurt you outright, and nine of them have to be drafted. You do not want to get stuck with a #2 catcher who will do real damage. So, how do you draft catchers this year? As you’ll see in the chart below, there are 21 catchers who won’t overtly hurt you. Over 40 percent of them have injury concerns and a third of them are on new teams. Do everything you can to avoid everyone else. The end-game wasteland is brutal. Garver is a bit of an oddity. His speed rating barely tips the scale into positive territory, and given his likely playing time, he’s an end-gamer at best. But he’s an end-gamer with a high floor, which has value in this pool. The (AV) asset group is composed of hitters with good BA floors, but little else. You would draft these guys for the “other” counting stats they’d provide, which makes the two full-timers more valuable. But Kurt Suzuki is a nice late pick as a #2. The (PW) group offers your first good opportunity to leverage the market, especially with all the risk that Gary Sanchez brings. Both Sal Perez and Yasmani Grandal offer essentially the same skills profile at as little as half the cost. In the SiriusXM/FSTA Experts League, Sanchez went late at #82; I grabbed Grandal at #152. Once again, Mike Zunino is the only (P+) player in the catcher pool, and his ADP has dropped from 166 last year, to 244. Figure out how to absorb the batting average because his prodigious power makes him a steal at that spot. J.T Realmuto is typically the first backstop off the board, but BABS has him lumped in with a bunch seemingly lesser players in the (a) group. She sees his 21 HR performance last year as a slight overachievement, but admittedly, he fell a hair shy of qualifying for a (p,a) rating. If you think that’s more accurate – fine – but that’s only going to elevate him to the top of this thin list – where he is being drafted anyway. The rest of this group offers a few opportunities. Grab Willson Contreras or Wilson Ramos early, or wait for Tucker Barnhart or Francisco Mejia later and get about the same underlying skills. The risks associated with Ramos almost beg you to wait. Grab Yon Gomes (p) or wait for Austin Hedges. From here on, there are a few pockets of value, but mostly nondescript skills profiles. The BABS database contains ratings for dozens more potential contributors at this position, but “contributors” is clearly hyperbole. They represent the last vestiges of desperation for those in 50-team leagues. You’re set to auto-renew on March 9. In my 12-team H2H league last year, I opted not to roster a catcher and instead carried an extra SP or hitter depending on need during the season. What do you think about this strategy, if permitted by league rules? So your league does not require ANY catcher? Not sure I like that. There are a growing number of leagues that swap out the second catcher with either another UT spot or a swing spot as you do. In Tout Wars, that swing spot replaces the 5th outfielder. The swing spot adds another level of strategy. With the dearth of offensive players, particularly in AL/NL-only leagues, that spot is almost always drafted with a hitter – but ends the season with a pitcher. 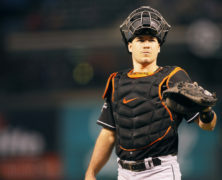 The league has Catcher as an active roster spot but does not require the spot to be filled. So, I’m sacrificing a spot on my active roster and taking a bagel from the catcher position each day, but it allows me to carry an extra bench hitter or pitcher who can be subbed into the lineup for off days/rest days. I think that gave me a stronger overall roster last year than rostering a catcher who took up a roster spot and provided little production. It sounds like the same will probably be true again this year, judging from the BABS catcher ranks. Ron, just making sure I have auto renewed. Looking forward to BABS unlock key for Rotolab. Last 2 years had to enter ratings one at a time. Matching BABS TO ROTOLAB great idea!! Yes, your membership is on auto-renew. Click on RotoLab in the right column (MEMBERS AREA). The unlock key is already there. I like to try to fit a third catcher on my roster somewhere, assuming I don’t have to pay a crazy price. That way if there’s an injury, I don’t have to grab one of the damaging catchers. “Fit” being the operative word, I’d imagine. I was looking at BABS’ Data Reports and when I look at a list of AL Pitchers, Fillmyer, Ian Kennedy and King Felix show an -ER, but when I looked them up individually, they were M without a -ER. The fact that I’m asking means things have not gone entirely as planned, but I wanted to pass on that apparent conflict when looking at BABS. On the bright side, I have Sal Perez who seems like a million dollar man in an AL-only league. I’m having tech look into this. Ron, is it possible to write an article about those players who fell “a hair shy” of certain categories like Realmuto (assuming there is critical mass)? There is maybe a handful. You noted Votto in 1Bmen. Really, just a few. Note that, with the trade of Realmuto to Philadelphia, he will likely now qualify for a (p,a) grade. New numbers will be run soon. The ratings above were prior to Realmuto’s trade to Philly. The online ratings and at RotoLab are always the most up to date.